Housing hit an air pocket in September as new home sales slid, falling along with deterioration in existing home sales. So it’s decision time once again for market participants. 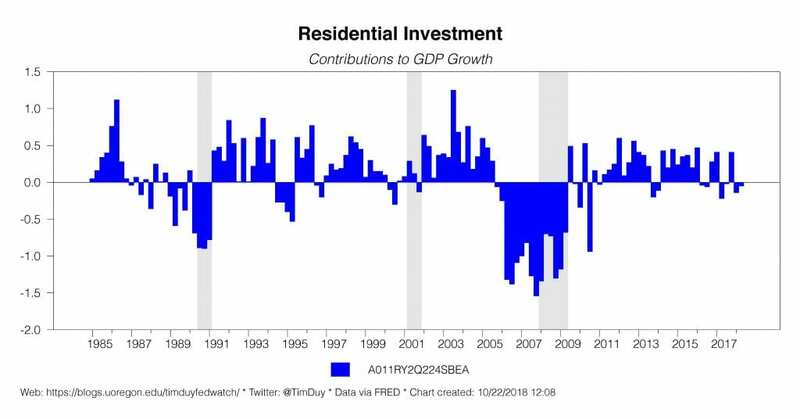 Given the well known pattern of “housing is the economy,” should you begin to price in the end of the cycle? 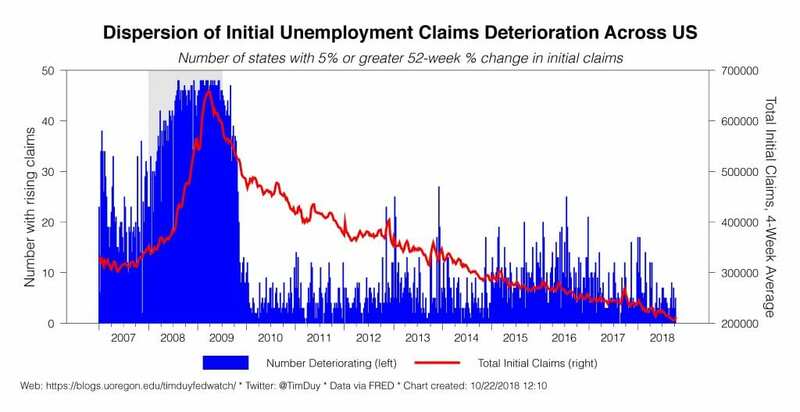 Or is that premature given the dearth of other worrisome indicators? I believe it remains too early to price in the end of the cycle. New home sales came in under expectations, falling low of 553,000 (SAAR), the lowest since December 2016. Inventories climbed to 7.1 months. 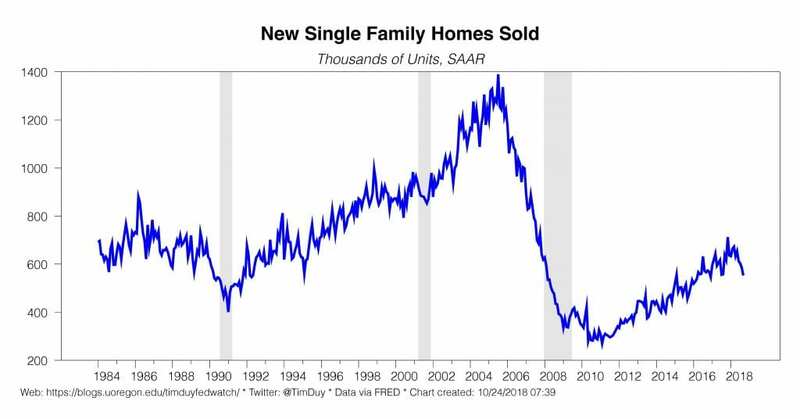 To be sure, new home sales are volatile. This could simply be a reaction as potential buyers took a breather to see if mortgage rates would tick back down. Or it could mean that the higher ends of the housing market have finally been saturated and builders need to shift downward to lower ends of the market. Or, more generally, prices finally reached a point where buyers pushed back. Such issues should be expected as the housing recovery matures, even if demographics remain a generally supportive factor. To be sure, memories of the housing crash and subsequent financial crisis run deep. I don’t think we are likely to see a repeat of that experience. The housing recovery is not built on the same shaky financial ground as we saw in the 2000s; underwriting conditions are more stringent. Moreover, there is clearly less room to fall on the new construction side. And as far as housing’s contribution to the economy, it has been already been choppy and fairly weak in recent quarters. It hasn’t, on average, been driving the economy. 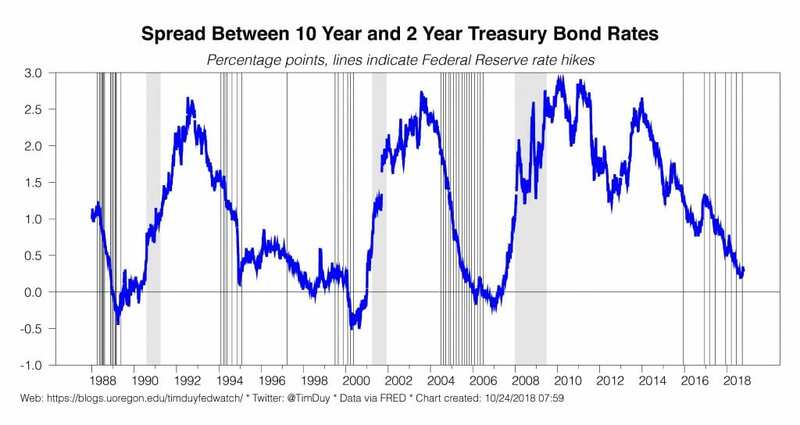 And the yield curve has yet to invert. Recessions are not single-indicator events. Remember the recession calls in 2016 when manufacturing rolled over? 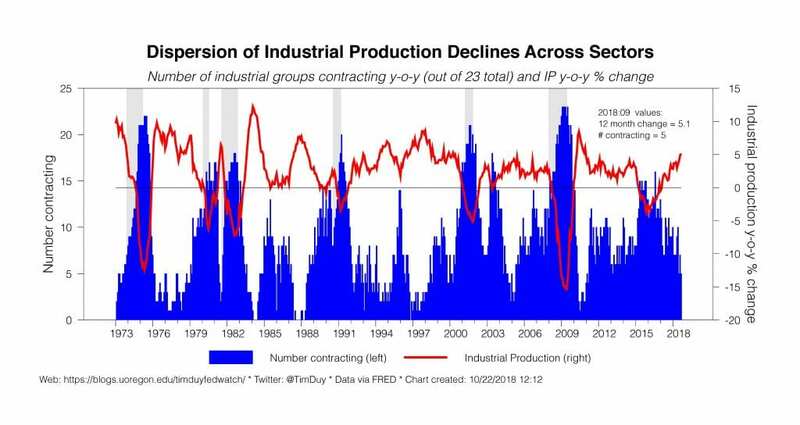 The thinking was that every time industrial production falls by 2%, a recession followed, and this time would be no different. But it was different. 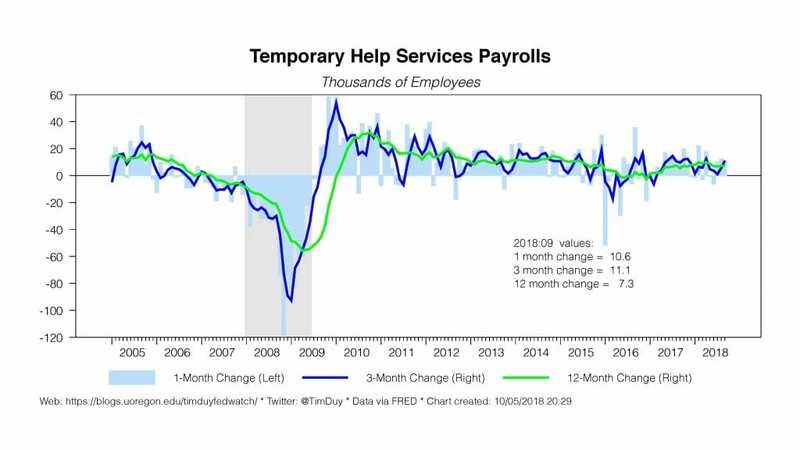 Those calls did not play out because the shock was largely contained to that sector; recessions stems from shocks that hit the entire economy. 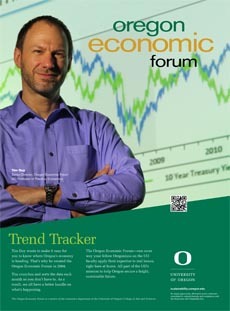 And even if a recession could be boiled down to a single indicator, I would pick the yield curve over housing. I suspect the Fed will have a similar view to mine. Powell & Co. will tend to discount softening in housing in light of overall broad-based economic strength. That said, it is reasonable to tell a story in which housing softness is part of a cooling trend in 2019 that gives the Fed room to pause in the first half of the year rather then the second half. Assuming, of course, the inflation remains contained. The upshot is that I am not terribly concerned about the housing situation. My primary focus currently is on the increasing margin pressures faced by firms. Labor and material costs, and of course tariffs, are weighing on the bottom line. 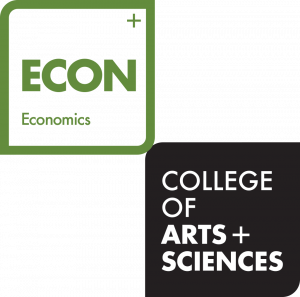 Do firms respond with higher productivity, enduring persistently lower margins, or can they push off the cost increases on consumers? Inflation data suggests the last has yet to be an option, which gives the Fed a lot more room to shift policy in a dovish direction should a more broad-based slowdown materialize. Should inflation start to perk up, then they would feel compelled to stick with a more hawkish policy stance. Watch carefully the inflation data around the end of the year. Firms tend to raise prices once a year in a low inflation environment, so we might see the delayed reaction to all of these cost pressures in the December and January inflation reports. Bottom Line: Recency bias is strong, which means it is easy to get lost in the housing data and miss the rest of the economy. That said, it is reasonable to wonder if the housing slowdown foreshadows softer growth ahead. Of course, such softer growth is already in the Fed’s forecast, so it is not clear that it will induce the Fed to change course. The Fed will be more likely to change course if inflation remains tepid.